Electrifying and fully electric racing in the hearts of the world’s major cities: Formula E has its finger on the pulse of this day and age. With its focus on sustainability, tight event schedule and media presence focused on social media channels it addresses a new, younger, urban audience, as well as automobile manufacturers and suppliers extending their product portfolios by electrified powertrain technologies. Organizing the world’s first fully electric racing series – this is a farsighted idea for motorsport of the future that Schaeffler has been placing its trust in from the very beginning. The company has been one of the protagonists in the Formula E scene ever since the 2014/2015 inaugural season, consequently having underscored its position as an electric mobility pioneer on the race track as well. 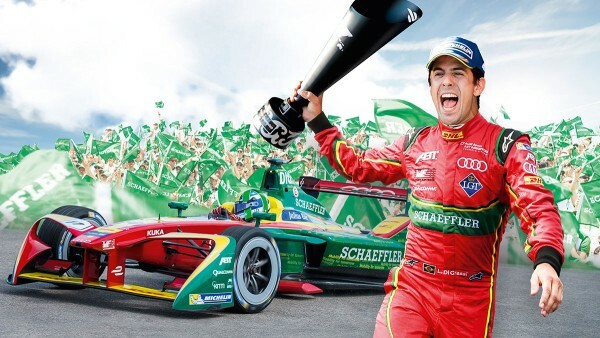 Sporting success is instantly achieved when Schaeffler campaigner Lucas di Grassi wins the inaugural race. Since the 2015/2016 season, the Formula E regulations have been allowing the teams to develop their own powertrain consisting of the electric motor, transmission, parts of the suspension and the corresponding software. In collaboration with ABT Sportsline, Schaeffler engineers, for the first time, develop a proprietary powertrain system for racing. The successful partnership with ABT in Season Three 2016/2017 culminates in the joint win of the drivers’ title by Brazilian campaigner Lucas di Grassi. From pioneer to two-time champion – Team Audi Sport ABT Schaeffler has shaped the first four seasons of the ABB FIA Formula E Championship electric racing series. Schaeffler demonstrates electrical engineering expertise both on and off the race track. Formula E is the technological spearhead of the motorsport commitment and the company regards it as a key to the technological transfer for future production technologies and mobility for tomorrow. The wide product range extends from cost-efficient 48-V hybrid motors to powerful high-voltage drive systems such as electrical axles through to visionary wheel hub drives. The ABT Schaeffler FE02 (2016/17 season) is a purebred racer packed with high-tech. Schaeffler and ABT have developed the entire powertrain. “In Formula E, we’re able to explore extremes. 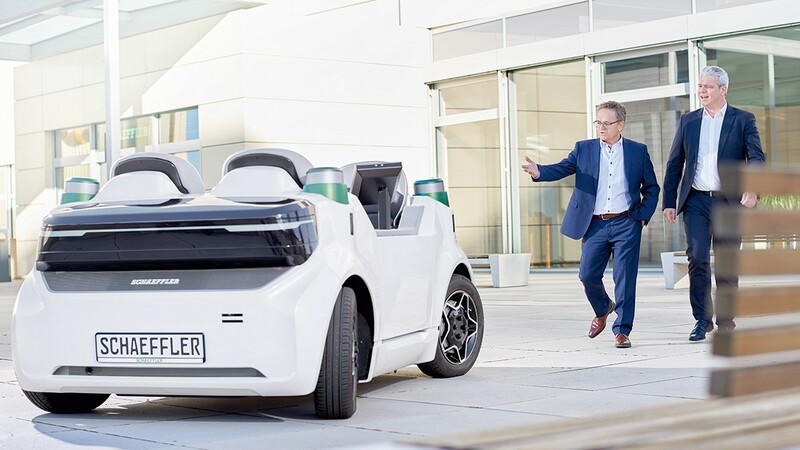 This helps us in many respects: in our general understanding of the systems as well as in the development of new materials or in gaining new findings concerning the recuperation of braking energy or thermal management,” says Prof. Peter Gutzmer, Deputy CEO and Chief Technology Officer of Schaeffler AG. 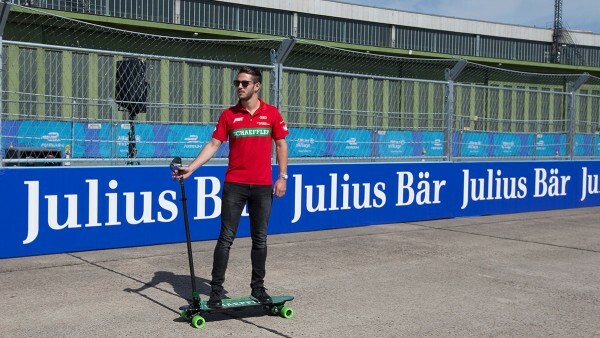 “In addition, motorsport delivers emotions – and this is what we need in electric mobility as well.” That Formula E races in the hearts of major cities reflects the global trend toward urbanization – an aspect that just like the electrification and connectivity of vehicles plays an important part at Schaeffler in the development of future mobility technologies. Three, two, one … from a sporting perspective Team ABT Schaeffler Audi Sport has continually been moving upward. A tour of the first three successful seasons. Formula E instantly thrills teams, drivers and fans. Schaeffler and ABT Sportsline with drivers Lucas di Grassi and Daniel Abt are the only German outfit when Formula E debuts. 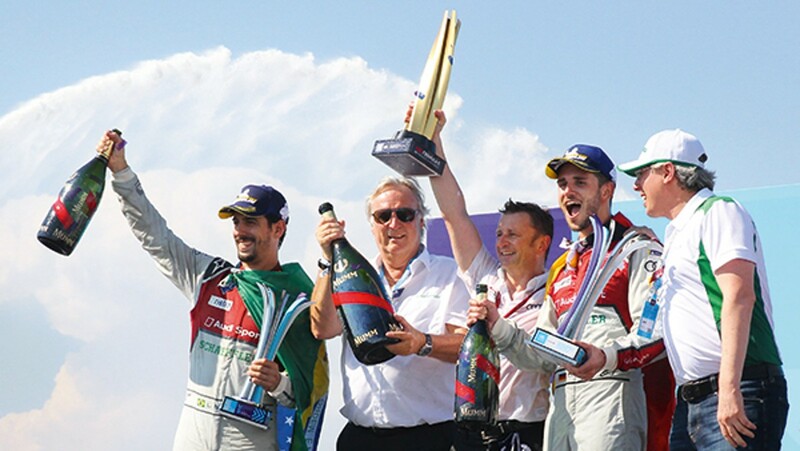 The season starts sensationally with di Grassi winning the inaugural race in Beijing. Following five other podium places, the Brazilian finishes the season in position three overall. Daniel Abt impresses as well, scoring a third place, a pole position and setting a fastest race lap. Schaeffler contributes the know-how for the powertrain of the new race car, the ABT Schaeffler FE01. On the race tracks, Team ABT Schaeffler Audi Sport continues to compete on the highest level as well. After three victories, Lucas di Grassi finishes the season in second place overall with only a two-point deficit. Daniel Abt in front of the team’s home crowd in Berlin takes second place, his best result to date, and finishes seventh overall. 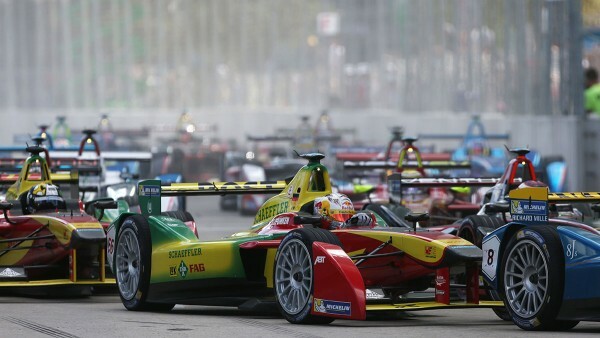 Formula E has long become firmly established in motorsport. At the top of the standings, a duel ensued that was well-known from previous seasons: Lucas di Grassi versus title defender Sébastien Buemi. Toward the season’s midpoint the Swiss, following five victories, looks like the sure champion. 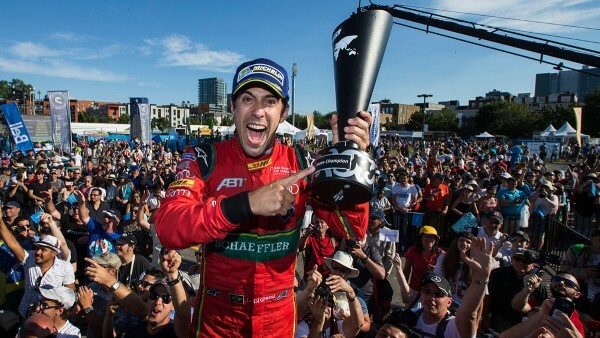 Lucas di Grassi then launches a comeback fight and crowns it with the title win at the finale in Montreal. The title win in the 2016/2017 season confirms the work done by Schaeffler in Formula E. Following Audi’s entry in the 2017/2018 season, Schaeffler continues to contribute its know-how to the technology cooperation with the premium brand which has been agreed for a three-year term up to and including the 2019/2020 season. The partnership includes the joint work on the electric motor, transmission, suspension and power electronics. Consequently, the powertrain for Team Audi Sport ABT Schaeffler continues to come from Schaeffler. The champion’s car reloaded: With the new Audi e-tron FE04 Team Audi Sport ABT Schaeffler attacks again in the 2017/2018 Formula E season. In terms of high tech, the pedigree single-seater is on a par with its predecessor model, the ABT Schaeffler FE02, in which Lucas di Grassi became 2016/2017 champion. Its centerpiece is the powertrain, consisting of the motor and transmission that has been jointly developed by Schaeffler and Audi. Daniel Abt and Lucas di Grassi get along perfectly. Team Audi Sport ABT Schaeffler has been relying on the driver pairing Lucas di Grassi and Daniel Abt ever since the 2014/2015 Formula E inaugural season. The experienced Brazilian – driving car number 1 for the first time as the reigning champion – and the young German are forming the driver duo again in 2017/2018. The sporting successes of Team Audi Sport ABT Schaeffler are closely tied to those of Lucas di Grassi. He finishes each of the three first Formula E seasons on podium, in positions three, two and one overall. With a passion for technology and innovations that he pursues in his personal life as well di Grassi is an outstanding fit for the Schaeffler Group. “Right from the beginning Schaeffler believed in something that entailed a certain risk as well as huge potential: Formula E. They trusted us as a team and me as a driver. We’ve been involved from day one and have celebrated major successes. 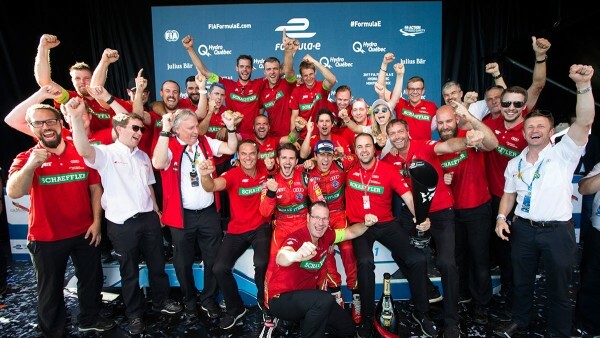 I hope that a few more will follow in the future”, says Lucas di Grassi. Lucas di Grassi wins the drivers’ title in the 2016/2017 Formula E finale. 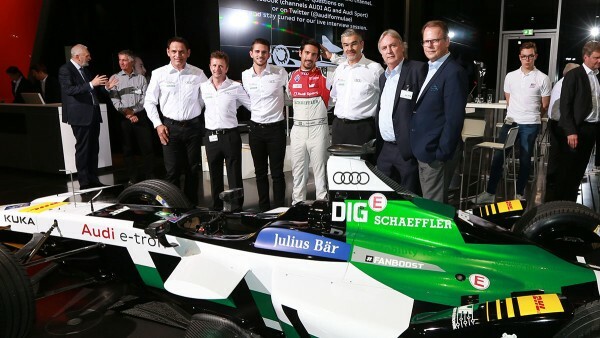 As a German driver Daniel Abt plays an important part in the German Team Audi Sport ABT Schaeffler. In his three Formula E seasons to date, the native of Kempten has managed a number of leaps onto the podium. When he’s not sitting in the cockpit he can be seen walking through the paddock with his camera shooting new videos for his social media channels. “We wouldn’t be standing here today if Schaeffler hadn’t believed in this project. Schaeffler supported us from day one, believed in the series and in us as a team and that’s why we’re very thankful and obviously happy to continue wearing the green Schaeffler colors. Hopefully, there’ll be many more great joint moments”, says Daniel Abt. 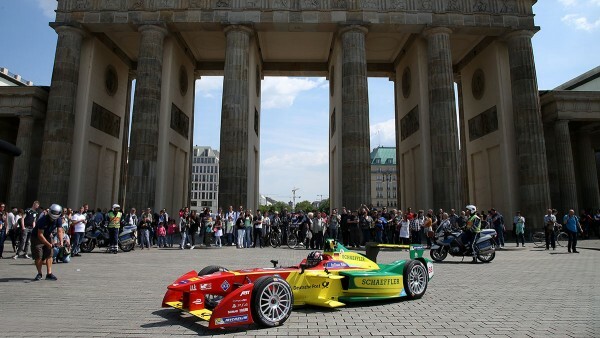 Africa, Asia, Europe, North and South America – Formula E stops on five continents on its world tour. With 14 races at eleven events the program is as extensive as never before. New events on the calendar are those in Chile, Italy and Switzerland.